Sardyn offers comfortable accommodation in a ground-floor bachelor unit. 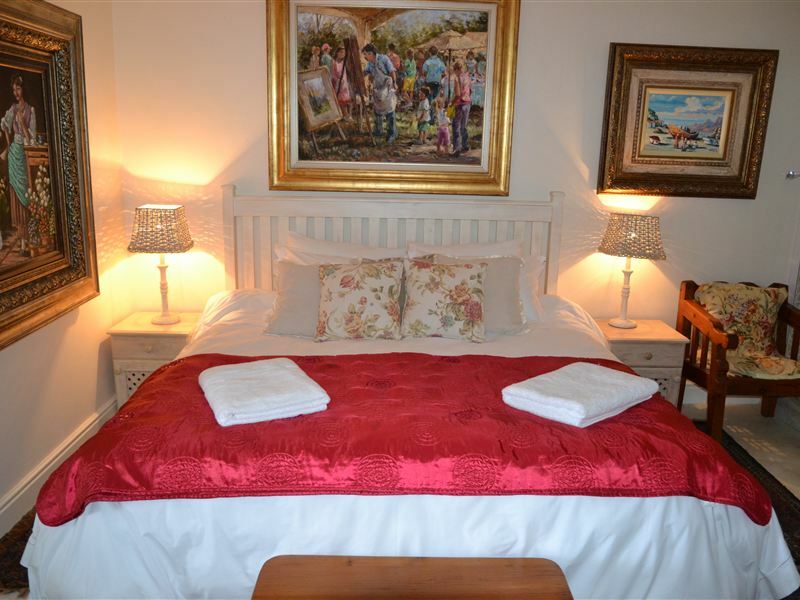 The apartment is ideal for a couple seeking a private self-catering unit near the ocean.<br /><br />This well-equipped unit has one bedroom and an open-plan living area with a TV. 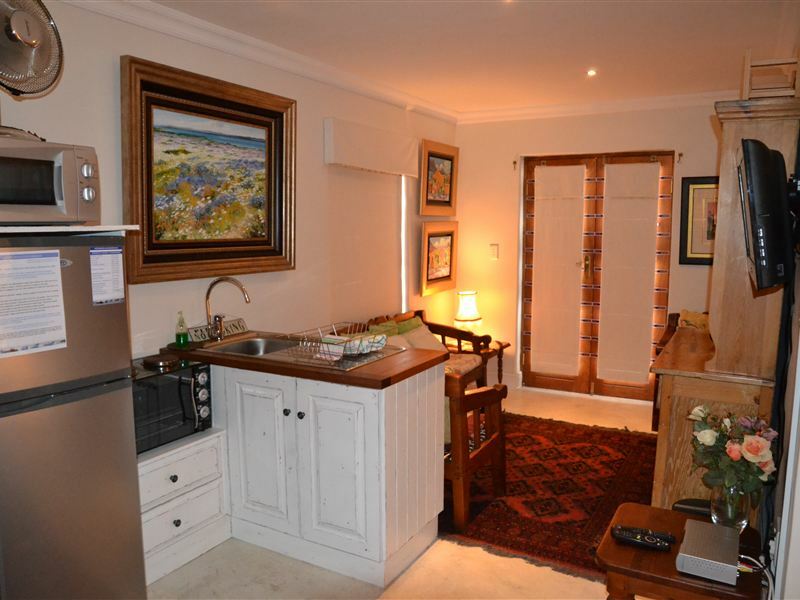 The kitchen is fully equipped for self-catering and includes cutlery, crockery, a two-plate stove, a fridge-freezer and a microwave. We provide a welcome pack for one night with coffee, tea, sugar, milk, shampoo, soap and body lotion. 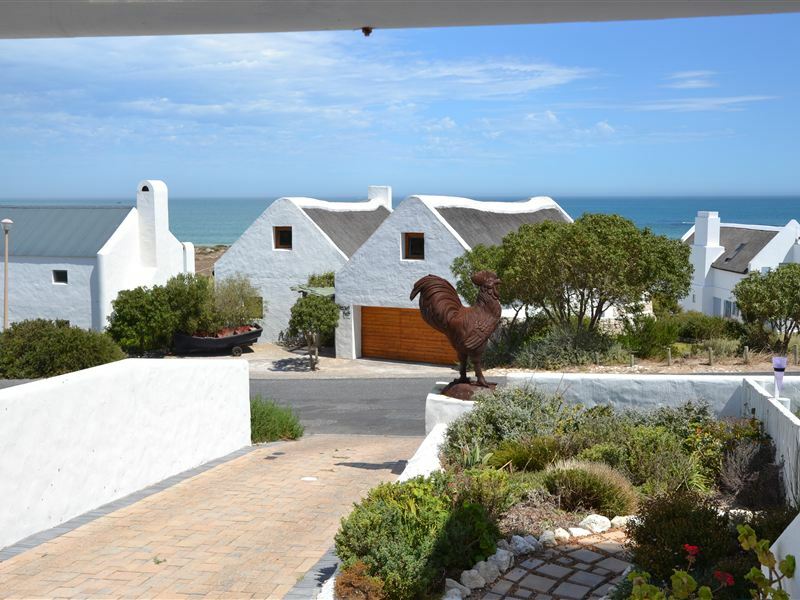 The unit has a braai facility and private parking for guest vehicles.<br /><br />Mr Botha is a well-known actor and artist, and his wife, Annelize, are the proud owners of Sardyn. 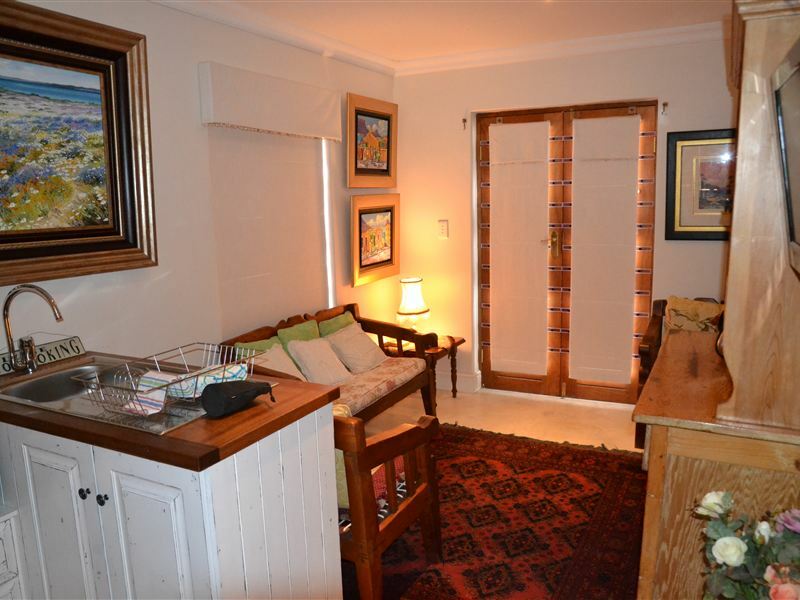 The unit is beautifully decorated with original art from Mr Botha and his art collection. His studio is on the premises and art lovers can visit the studio by appointment. "Great location and a beautifully furnished apartment." "Small but perfect and peaceful, tastefully furnished lodging for two plus dog, which gives it an extra star as far as we are concerned. We enjoyed being able to see and hear the sea from the tiny stoep. Had it rained constantly, eating meals on laps might have been a problem. Artwork on the walls a feast for the eyes. Recommend staying here." "We enjoyed our stay at Sardyn despite the somewhat cooler weather. 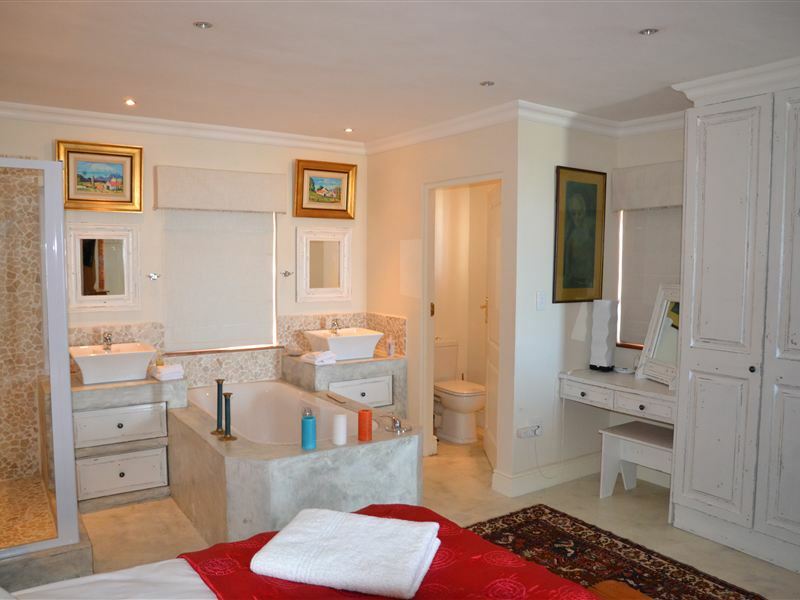 The guest house is very well furnished and one cannot fault its interior. A nice touch was the body soap provided in the nice big shower.We further enjoyed the lovely paintings against the walls and wished that we could meet the artists themselves one day." "We stayed at Sardyn for only three days (way too short) and had an absolutely lovely time and felt so pampered. Will definitely go back there and recommend it to anyone. Thank you again."